GALION —The Northmor Golden Knights baseball team dropped their fourth consecutive game on Monday afternoon to the visiting Centerburg Trojans; 10-0. Northmor managed just three hits on the day and stranded six en route to being shutout for the third time in four contests. The loss drops the Knights to 6-7 overall on the season and 3-5 within the Knox-Morrow Athletic Conference. Wyatt Reeder recorded a pair of singles for the home team and Ryland Thomas finished with a double. On the mound, Brayden Black took the loss, going 2⅓ innings while giving up just two hits but allowing six runs (five earned), walking seven and striking out six. Kyle Kegley threw ⅔ of an inning, allowing three hits, four earned runs while walking three and striking out one. Hunter Mariotti worked the remaining two scoreless innings, scattering three hits, walking three and fanning two. Northmor will look to get back on track after a trip to Centerburg on Tuesday. On Thursday, April 26, a makeup contest at Mount Gilead is schedule and the Knights are poised to host a doubleheader against Whetstone and Northridge on Saturday, April 28. HILLSDALE — Northmor’s baseball team played two Saturday in Jeromesville at the Hillsdale Slugfest. In game one, the Knights managed just three hits and would fall to the Falcons by a final score of 7-2. In Game 2, they were shut out 2-0 by Waterford. Against Hillsdale, Thomas, Black and Pierce Lower had a single apiece. Black and Lower scored the two runs for the visiting Knights, who stranded two runners. Chris Bood was the pitcher of record for Northmor, starting and going 4⅓ innings, while allowing eight hits, four runs (two earned), walking one and striking out two. Mariotti worked one inning, allowing two hits and three unearned runs, walking two and fanning one. Tyler Bailey walked one in ⅔ an inning. The Falcons tallied their seven runs on 10 hits, stranded seven and committed just one error in the field. Northmor committed four, costly errors in the opener and saw nine hitters strike out in the muted offensive effort. Against the Waterford Wildcats, Northmor was shutout 2-0 and once again held to just three hits, all singles. Thomas, Bood and K. Kegley had the hits. The Knights would leave 11 baserunners on the base path in Game 2. Reeder took the loss for Northmor, going 5⅔ innings, allowing all three of Waterford’s hits, giving up two unearned runs, walking one and striking out seven. Bailey tossed ⅓ of an inning, surrendering no hits or runs. Both teams finished with three hits apiece and Waterford committed one error to Northmor’s three. In the contest, the Wildcats stranded just three baserunners. The Knights are 6-6 overall and 3-4 in the KMAC. Northmor would manage just one baserunner for the contest via a walk to Thomas. Nick Cunningham and Leyton Cunningham collaborated for the no-hitter fand needed just 47 pitches over five innings in the win. The Knights would go through five pitchers on the day and as a staff, gave up the 21 runs on 13 hits and hit five Freddies batters with pitches. Northmor’s staff struck out just two while walking eight batters and the defense committed six errors in the field. NORTH ROBINSON — Woes continued for the Eagles baseball squad on Monday, April 23 when the Ridgedale Rockets traveled to Althouse Field for game two of their season series. It took 11 innings but the visitors defeated the hosting Eagles by a final tally of 7-4, marking Crawford’s fourth consecutive Northern-10 Athletic Conference loss. The Eagles fall to 4-11 on the season with the defeat and are currently 2-10 within the league. On Wednesday, April 25, the Eagles are set to host the Elgin Comets in non-conference action before heading to Riverdale on Thursday. NORTH ROBINSON — In a game postponed from March 29, Colonel Crawford dropped a 4-3 decision to Carey in their second N-10 meeting of the season. The visiting Blue Devils remain undefeated at 11-0 overall and 9-0 in conference play. Crawford is 4-10 and 2-9. MORRAL — On Friday, the Eagles lost 10-4 to Ridgedale. After a pair of victories against Upper Scioto Valley on Saturday, Ridgedale sits at 10-3 overall, winners of seven in a row, and 3-3 in the conference. 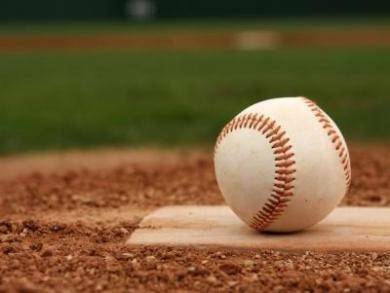 CRESTLINE — The Bulldogs baseball team was not in action over the weekend after a 7-0 loss to the Tigers in Galion on Friday, April 20. On Tuesday, April 24, Crestline was scheduled to host Mid-Buckeye Conference foes, the Mansfield Christian Flames. The ‘Dogs will welcome Ridgemont to Gates Brown Field on Wednesday before heading to Mansfield for the rubber match with the Flames. This coming weekend, Crestline is scheduled to be on the road at Cardington for a non-conference doubleheader.